A big thank you to everyone who came this year! This will be the best experience possible. We are going to offer you the chance to party with everyone during the 2018 show weekend. This includes bands, crew, organisers, special guests, and maybe a few surprise faces. If this sounds like your kind of weekend, then the Ultimate VIP packages are designed especially for you. THE HOTEL: Includes accommodation at the Official Festival Hotel, the 4 star Crowne Plaza in Nottingham, including buffet breakfast each morning. It entitles you access to the hotel main bar, which is off limits to everyone except residents after closing time, as well as all the facilities the hotel has to offer. The hotel is superbly positioned, with the centre of Nottingham just a short walk away, and 5 minutes walk to the venue - the ultimate in comfort and accessibility. Room options include Doubles, Twins & Single. THE SHOW: The Ultimate VIP Packages are designed to get you up close to the action, with your VIP ticket to the show included. This will permit you access to the VIP area (The Landing) in the venue. It gives you the comfort of the spacious balcony and bars, from which to gain a vantage point to watch the action on stage. There is also ample seating for you to relax. The VIP area is generally where the bands will hang out during the weekend. 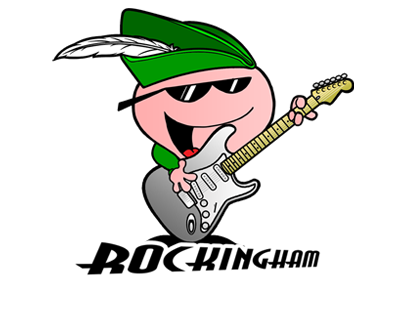 The Ultimate VIP Packages combine your accommodation and your show tickets with VIP access into one, allowing you to experience Rockingham the ultimate way. THE EXTRAS: Free t-shirt, laminate with lanyard and goody bag. THE SHOW: Comes with a choice of VIP Weekend Tickets or General Admission Weekend Tickets. Your VIP Weekend Ticket allows ease of movement throughout the venue, including access to the VIP Balcony and bars, where you can hang out and watch the show, and rub shoulders with - well - anyone really - you really never know who is going to be there rocking out beside you. There are a limited number of VIP Tickets available. Weekend Tickets give you access to the main show area (The Level) in the venue. Day Tickets give you access to the main show area (The Level) in the venue. Note - All bookings are subject to a 45p plus 2.5% non-refundable booking fee imposed by our merchant services provider. Your printed e-ticket will be exchanged for an appropriate wristband on the day. From North exit M1 at Junction 25. Follow A52 to city centre and look for signs posts to the Nottingham Trent University. From M1 Junction 26. Follow A610 into city centre, look for signs for Nottingham Trent University. All other routes, head for city centre and follow the tourist signs to Nottingham Trent University. The nearest station is Nottingham Station, Carrington Road, NG2 3AQ. To reach Nottingham Trent University, you can take a tram directly from the station - Station Street Terminus to NTU (4 stops away), or it is approximately a 15-20 minute walk. Head right out of the station and walk towards the Broadmarsh Centre. Continue straight up Listergate, on to Albert street and across the Market Square. Cross the Square to Market Street and head up towards the Royal Concert Hall. Nottingham Trent University is towards the back of the Concert Hall on Shakespeare Street. There are no public buses that stop outside the venue, but it's a short walk from the bus station. See here for route. These hotels are within a ten minute walk from Nottingham Trent University, we also recommend Trivago. With full disabled access, multiple bars, catering and rest areas, this venue and its facilities are ideal for a full weekend of socialising and entertainment. This is where all of the on-stage action happens, a newly refurbished venue space with capacity for 1000 people. Two very accommodating large bars, a box office and cloakroom if required, as well as disabled access and toilets. This is an L shaped balcony bar that overlooks The Level venue below with capacity for 200 people. With a fully stocked bar and kitchen diner, as well as an assortment of tables, chairs and booths. This venue has its own entrance from Shakespeare Street and has full audio, visual and lighting facilities to enhance your experience.